Naomi Todd considers the effect of smoking on dental health. It’s that time of year again when Stoptober returns to encourage smokers across England to cease smoking during October. This year, Public Health England has broadened the Stoptober campaign to include a wider brand called ‘One You’. This brand is designed to help people throughout the UK avoid future diseases caused not just by smoking, but also by other bad habits and behaviours such as eating unhealthy food, drinking too much and not getting enough exercise. Stoptober begins in mid-September and encourages as many smokers as possible to prepare to stop smoking from 1 October by signing up to the campaign and utilising the range of free resources and support available. Participants can sign up on the NHS Stoptober page to access a number of free resources to encourage smoking cessation, including a mobile phone application and signing up for reminder texts and email services. The impact smoking has on your dental health can be devastating. Smoking is linked to a number of dental problems including tooth discolouration, gum disease, build up of plaque and tartar, and more seriously an increased risk of developing oral cancer. Smoking weakens your immune system, which makes it harder to fight off gum infections. Once you have gum damage, smoking also makes it harder for your gums to heal. Smokers are twice as likely to develop gum disease compared to a nonsmoker, and the longer you smoke, the greater the risk of gum disease. In addition, treatments available to treat gum disease may not be as effective for people who smoke. It’s not just cigarettes which raise the risk of developing dental problems. Tobacco use in any form including pipes, cigars and smokeless tobacco raises your risk of gum disease. Smokeless tobacco, including snuff and chewing tobacco contain at least 28 chemicals that have been shown to increase the risk of oral cancer and cancer of the throat and oesophagus. In fact, chewing tobacco contains higher levels of nicotine than cigarettes, making it harder to give-up than cigarettes. Smokeless tobacco can irritate your gum tissue, causing it to recede or pull away from your teeth, which in turn leads to an increased risk of tooth decay. Additionally, sugars, which are often added to enhance the flavour of smokeless tobacco, can increase your risk of tooth decay. A study published in the Journal of the American Dental Association showed that chewing tobacco users were four times more likely than non-users to develop tooth decay. A research report published by ‘ASH’ (Action on Smoking and Health) entitled ‘Tobacco and Oral Health’ dated September 2016, revealed that cigar and pipe smoking is also associated with increased risk of oral, lip, oesophageal and pharyngeal cancers. According to the ASH report, studies have shown a relationship between tobacco use and increased tooth loss. A study of over 23,000 adults in Germany found that the risk of tooth loss was greatest among heavy smokers and that smoking cessation was associated with a reduction in the risk of tooth loss. The report pointed out that tobacco use in any form is one of the major causes of oral cancer, accounting for more than 90% of cases. Cigarette smokers have over a threefold increased risk of oral cancer compared to individuals who have never smoked. How can dental health problems be prevented? Dental professionals have a crucial role to play in raising awareness of the dangers to oral health associated with smoking and the use of smokeless tobacco. Dentists should identify smokers and tobacco users and provide information on reducing risks, and referrals for smoking cessation services. Dentists are encouraged to ensure that the public are made aware of the risks caused by smoking, and provide appropriate advice which together with regular check ups will reduce dental health problems. You also have a responsibility to reduce the risk of developing dental problems by brushing your teeth and flossing twice a day, attending regular check ups at with your dentist and most importantly, not smoking. What if I can’t give up? Quitting smoking is the most effective way to ensure better oral health. However, if you can’t abstain from smoking there are steps that can be taken to minimise the risks to your teeth. •Ensure you attend regular routine dental appointments to allow your treating dentist to monitor for signs of developing gum disease and oral cancers. Use mouthwashes and other products targeted specifically for smokers to address the damage caused by smoking. Perform oral health check ups on yourself on a regular basis. Look for any areas of discolouration inside the mouth, any lumps, sores or recurrent bleeding. 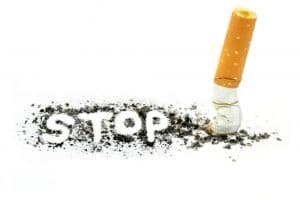 Finally, if you are a smoker it is important to discuss this with your dentist and hygienist so that they are aware and can offer you tailored advice to keep your teeth and mouth healthy. In our next blog we will be looking at the effects of alcohol consumption on oral health, and how smokers who are also alcohol drinkers have a risk of oral cancer greater than the combined risk of those who only smoke and those who only drink alcohol.